Enriched with a vast industry experience, we are capable of manufacturing a range of Thermosets Plastic. They are made by joining polymers together with chemical bonds. These thermosets chemically deteriorate when heated, but are much more durable when allowed to cool. Made in compliance with the predefined industrial standards, these thermosets are highly reliable. Unsaturated Polyester UP Rigid, clear, chemical resistant, high strength, low creep, good electrical properties, low temperature impact resistance, low cost. Boat hulls, building panels, lorry cabs, compressor housing, embedding, coating. Alkyds AMC Rigid, tough, heat resistant, good arc and tracking resistance, good long term, dimensional stability, fungus resistant, good colour stability. Automotive distributor caps, circuit breakers, switch gear, coloured appliance housing. Allylics DAP, DAIP, ADC Hard, transparent, abrasion resistant, good electrical insulation (even in humid conditions), good chemical/mechanical properties and dimensional stability. Optical coatings, face shields, sealants for metal castings, critical long-term high reliability electrical parts (e.g. radomes, connectors, circuit breakers, switches). Epoxies EP Rigid, clear, very tough, chemical resistant, good adhesion properties, low curing, low shrinkage. Adhesives, coatings, encapsulation, electrical components, cardiac pacemakers, aerospace applications. Furan Rigid, brittle, opaque, high strength at elevated temperatures, good chemical resistance, self extinguishing, low smoke emissions. Chemical plant (competitive with stainless steel) foundry cases and moulds, specialised insulating foams, lining of tanks, etc. for alkali resistance. Melamines /Ure (Aminos) MF, UF Hard, opaque, tough, scratch resistant, self extinguishing, free from taint and odour, wide colour range, resistant to detergents and dry cleaning solvents. Decorative laminates, lighting fixtures, dinnerware, heavy duty electrical equipment, laminating resins, surface coatings, bottle caps, toilet seats. Phenolics PF Hard, brittle, opaque, good electrical and heat resistance, resistant to deformation under load, low cost, resistant to most acids. Ashtrays, lamp holders, bottle caps, saucepan handles, domestic plugs and switches, welding tongs and electrical iron parts. Polyurethane cast elastomers (EP) Elastic, abrasion and chemical resistant, impervious to gases, can be produced in a wide range of hardness. Printing rollers, solid tyres, wheels, shoe heels, car bumpers, (particularly suited to low quantity production runs). 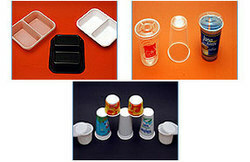 We acknowledge the demands of the customers and offer unique Product Packaging Design Services. 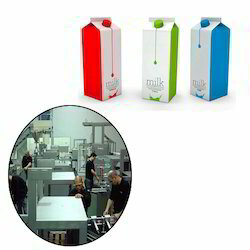 We make use of upgraded and advanced machines for product packaging designs. 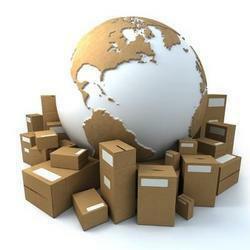 The remarkable and unique packaging designs we offer stand out and help earning more sale. Furthermore, to offer large volume production, we have installed roll fed and sheet fed machines. Looking for Product Packaging Design Services ?